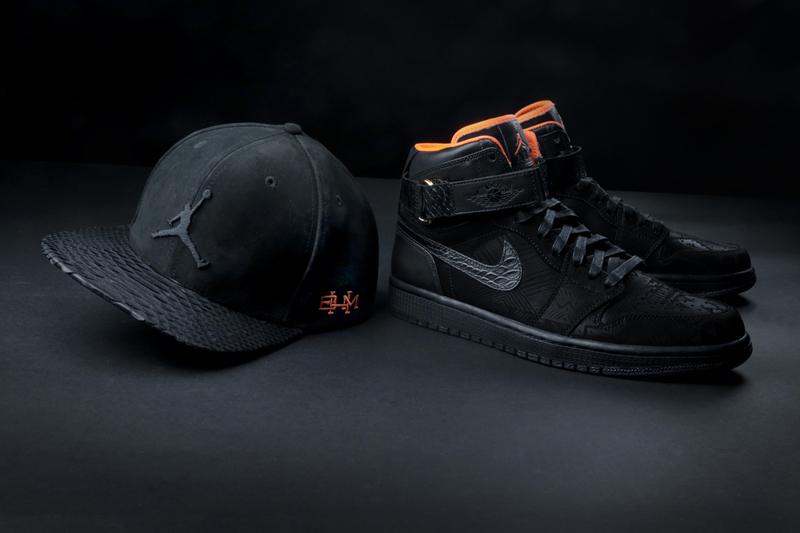 In Honor of the 37th Anniversary of Black History Month, Jordan Brand has collaborated with Snakeskin Snapback Designer Don C of Just Don on 37 Exclusive Pairs of the Air Jordan 1, alongside a signature Just Don x Jordan Brand Snapback. 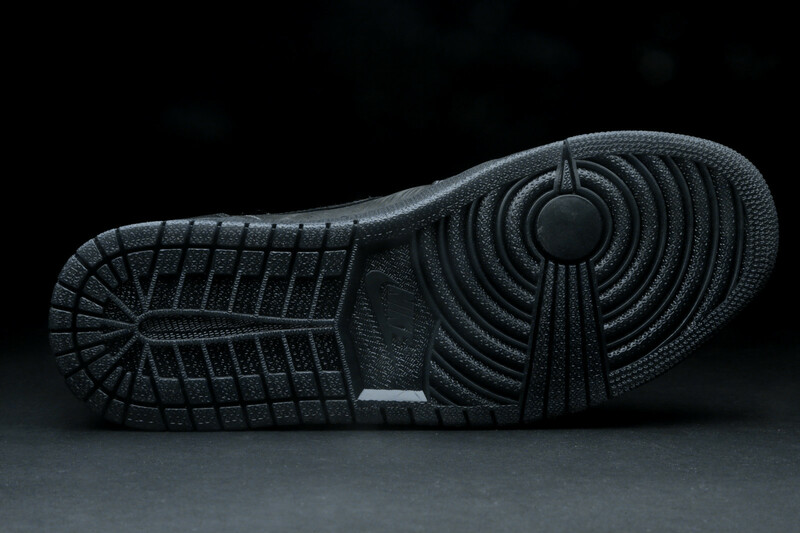 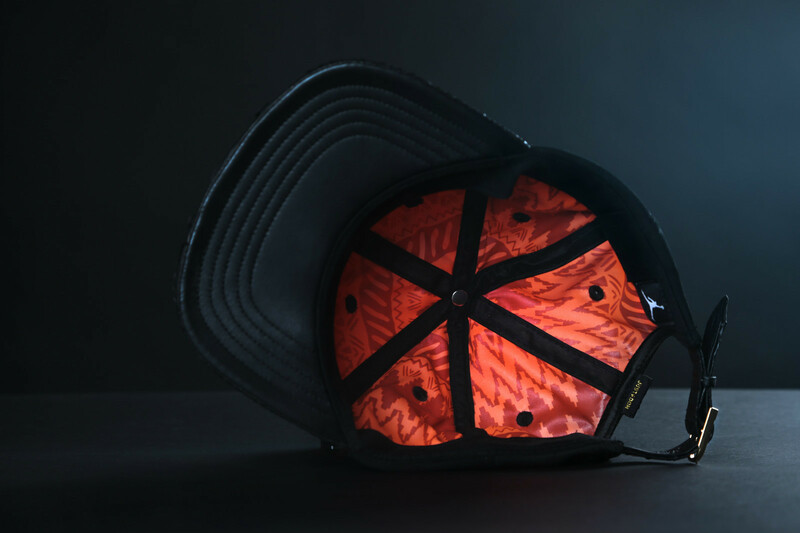 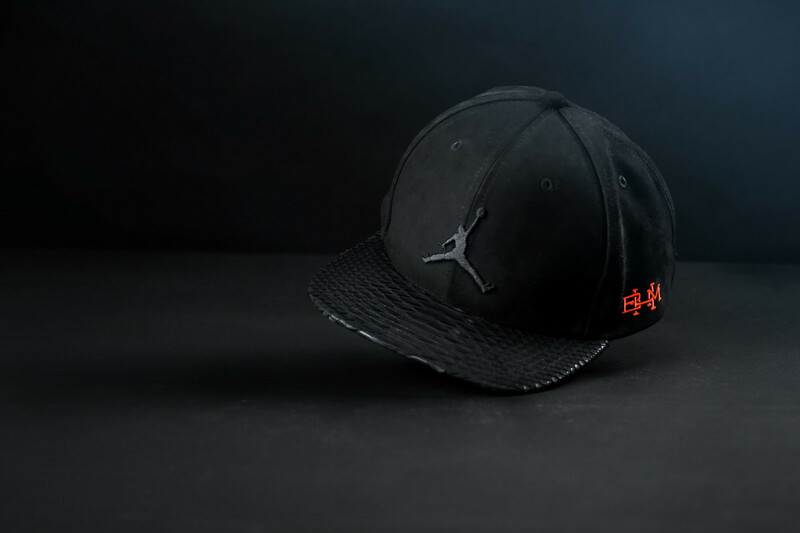 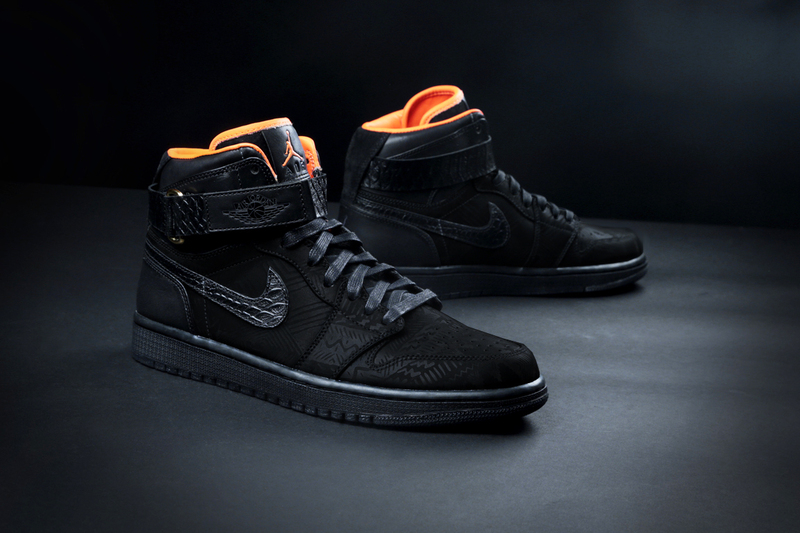 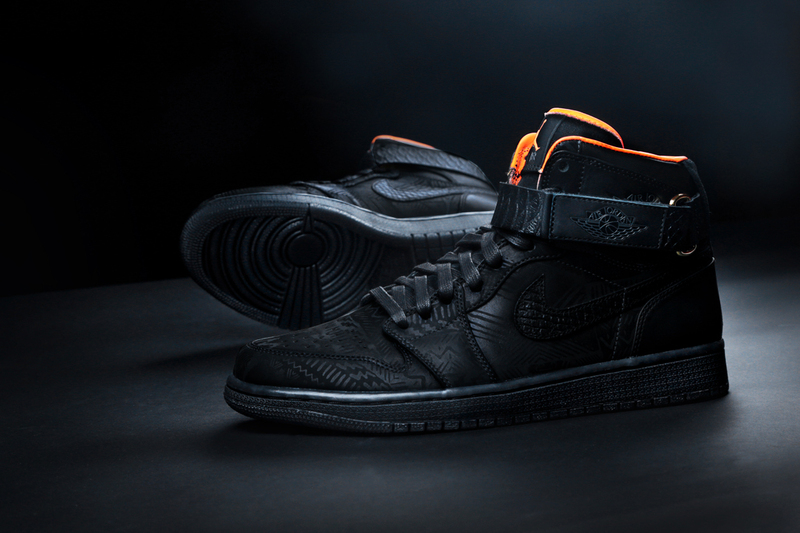 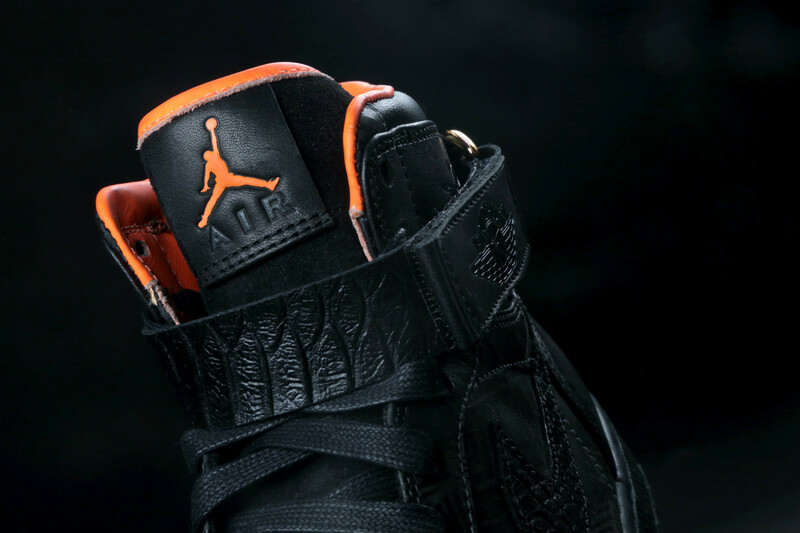 The entire package offers up a Black Snakeskin theme, combined with the Signature Black History Month Orange. 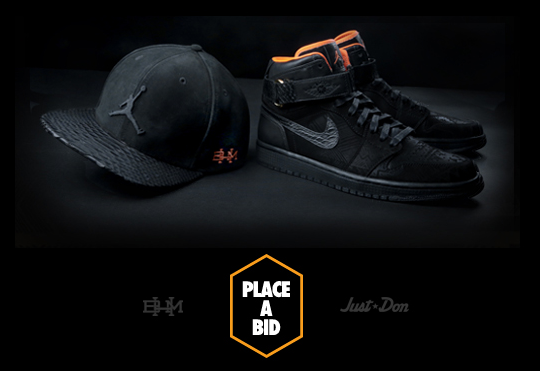 These have recently hit the Ebay Auctions so for those interested, Place Your Bid Now . 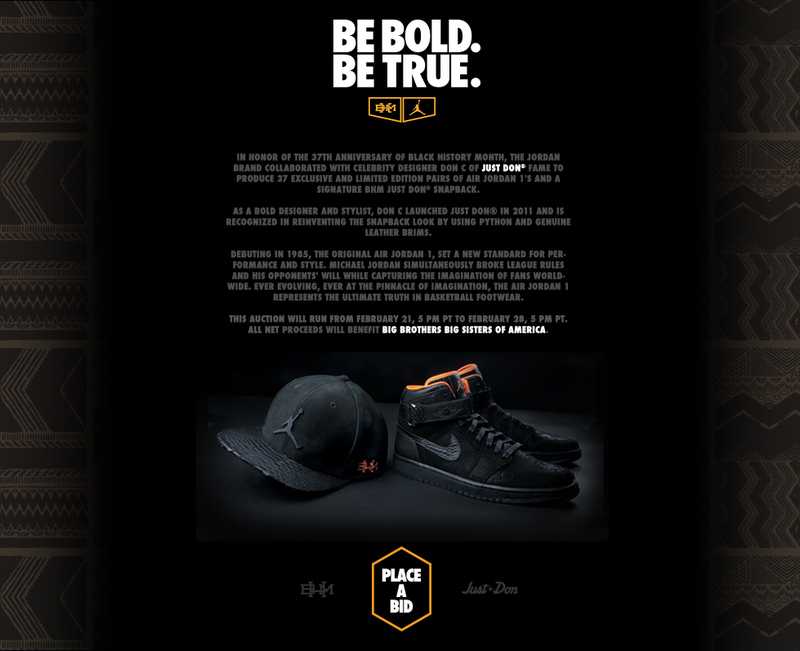 All Proceeds will be given to Big Brothers and Big Sisters of America.